There is a mentality shift taking place in Lincoln. A lot of column space, radio hits and message board posts have been devoted to the immense roster overhaul that has taken place since coach Scott Frost and his staff were hired. Most objective observers can admit a talent upgrade was needed. Perhaps even more importantly, an overhaul of the mindset inside of One Memorial Drive was especially necessary. On Thursday, when the head coach was asked about the notion of “offseason momentum," he offered this non-nonsense answer. “Offseason momentum is for newspapers and fans on websites," Frost said. “Like I said, it’s time to prove it. I hope our guys are ready for it. I think they’re going to have more confidence going into this year because of the way they look, the way they feel, the way they can move, how much stronger they are. I think they’re a tighter knit group now. To be clear, Frost isn’t against offseason excitement. He said that any excitement they have around the program is positive. He just doesn’t want was is created to be phony excitement. Frost wants people excited because they are doing things the right way, which is what he's seeing from his players already. 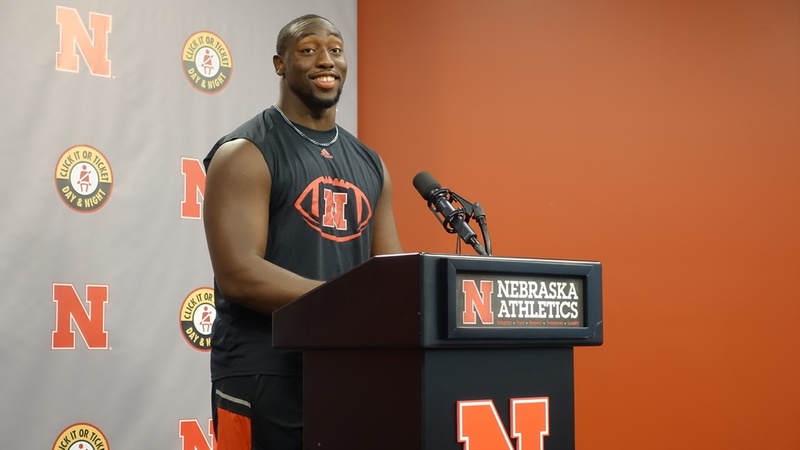 Senior defensive end Freedom Akinmoladun has seen three different staffs during his time at Nebraska. He was recruited by Bo Pelini, played for Mike Riley and now gets to be part of the initial group hoping to get Nebraska football back on track with Frost. He has noticed a change in the culture already. After a breakout season in 2017, defensive end Ben Stille will be counted on this season to be a consistent playmaker for defensive line coach Mike Dawson. Stille may have summed up the new mindset that is starting to set in better than anyone. “When we’re putting in all that work in the offseason, that gives you the right to be able to compete on the field, but it doesn’t give you the right to win games," Stille said. There's plenty left to prove for Nebraska, but the mentality is shifting in the right direction.